Decatur, Ala. – It’s a sign that summer is on its way in North Alabama. 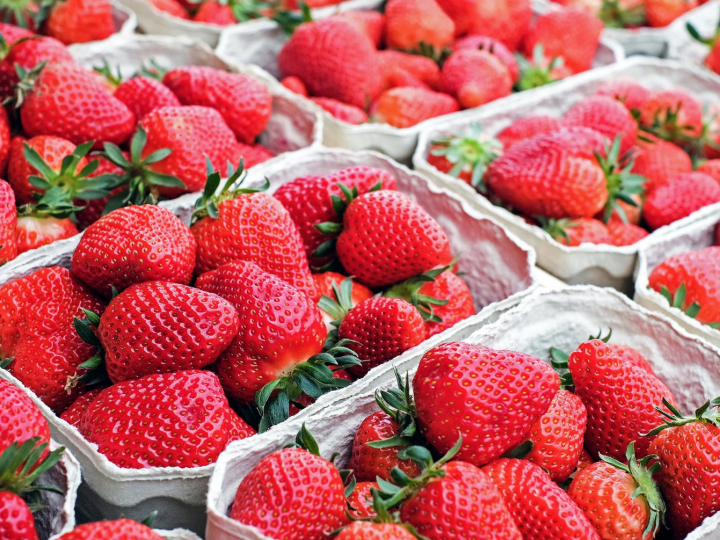 Each year, the town of Moulton welcomes thousands of guests to its community for two days of free family fun, fresh strawberries and live music. Held around the square in downtown Moulton, the fifth annual Strawberry Festival is set for May 3-4, 2019. Parents in search of family-friendly activities will want to put the Strawberry Festival on their schedule of things to do the first weekend in May. Inflatables will offer hours of fun for free and children will also want to check out the Lawrence County Volunteer Firefighter and Rapid Responders fire truck show. Mouthwatering strawberries will be available to purchase and organizers suggest arriving early to purchase the berries before supplies run out. Farmers will be on hand to offer tips and suggestions for storing and preparing. During the two-day event, a variety of contests are lined up for adults and children to take part in. Participants are encouraged to wear their favorite superhero costume and take part in the Hornet Hero 5K and 1-mile Fun Run set for 8 a.m. The Strawberry Festival Pageant begins at 10 a.m. at the Lawrence County High School auditorium and the Mud Volleyball Tournament follows at noon in the empty lot west of the Moulton Senior Center. The festival also showcases gospel groups, oldies and folk performers, bands and choral groups from local high schools and rising stars from across the region on two stages. Additional activities include a classic car/truck/motorcycle show and arts and crafts vendors. Festival hours are 11 a.m. to 7 p.m. on Friday, May 3 and 9 a.m. to 6 p.m. on Saturday, May 4. Admission is free. Proceeds benefit the Jesse Owens Runners’ Club and local schools. For more information, visit www.strawberryfestivalmoulton.com or their Facebook page at www.facebook.com/StrawberryFestivalMoulton or contact Event Director Stan Johnson at 256.566.4410, neverquitsj@aol.com.